"We’re not yet where we want to be. 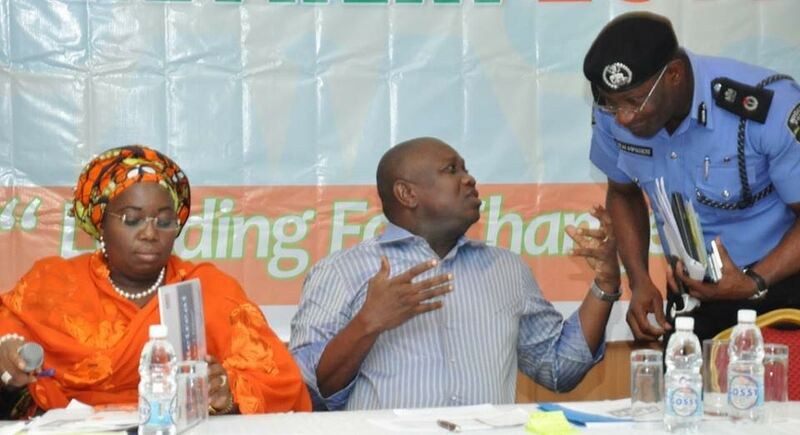 We have only just 33, 000 policemen in Lagos for a population of over 20million. Again, we don’t have control over these police officers. We need to let the Commissioner of Police leave this retreat believing that the Police need to own their own business just the way we have told ourselves that we want to own the business of governance. We need to see some things change, there has to be some form of paradigm shift, we want to see our police officers patrol in convoy between 12 midnight and 4am. There should be presence; we want to show presence, security agencies must also show presence. We need to enforce, we want to see patrol vehicle moving, we don’t want to see stationery police men, they don’t have to stay in the vehicle, we want to see something different from what it used to be in the past. It’s still the same style, but people must see improvement on it. That’s why we on our own part, we have gone out of our budget limits, using our resources from the Security Trust Fund, to say that, yes, it might not be within our budget, but we would spend money to support the Police because if the state is safe, the economy will thrive”, he said.